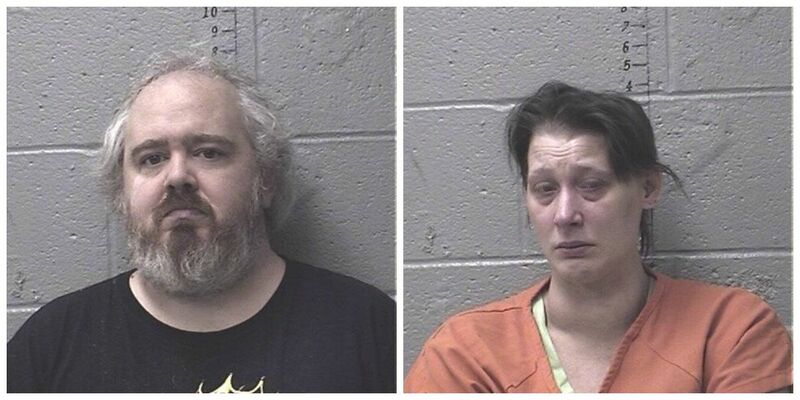 LEADWOOD, MO (KFVS) - A St. Francois County, Missouri couple are facing charges after police found two of their seven children wandering the streets and their home covered in feces. According to the prosecutor’s office, Kristina Hillhouse, 36, and Robert Hillhouse, 39, both of Leadwood, Mo. are facing seven counts each of child endangerment. In the probable cause statement, police said on Nov. 8, 2018 they were called to a home in the 1100 block of East Street about two kids wandering the neighborhood with no shoes and little clothing on. The police chief said the kids were trying to get into cars and nearby homes trying to get warm. A neighbor had seen the kids and contacted police. Police reported there was feces all over floors with dirty diapers and a porta-potty overflowing with human waste. The toilet was also not working. According to court documents, there was feces and grime on the beds with no sheets or blankets along with feces on the walls, toys, clothes and a baby crib. It appeared someone had drawn with animal or human feces on the door, according to the report. Old food and feces was found in the kid’s room and the master bedroom. There was feces in the carpet and bags of dirty diapers on the floor. The kitchen was “one of the worst rooms in the home,” according to court documents, because of dirty dishes, flies and trash with rotten food in it. A cat litter box showed that it had not apparently been cleaned in months. According to officers, the mom came out of the bedroom and told police it was impossible for the kids to get out because the door was dead-bolted, positioned high and could only be opened by a key. The mom told the chief that the reason for the conditions was that a newborn had been keeping her up at night. The Department of Family Services was called in and Robert Hillhouse was called to the home from work. The children were placed in another home for care. The chief said the kids had never been enrolled in school and the father told him they were trying to homeschool them. The couple were taken to the St. Francois County Sheriff’s Office for booking. Bond was requested at $150,000 each.